Rumour No. 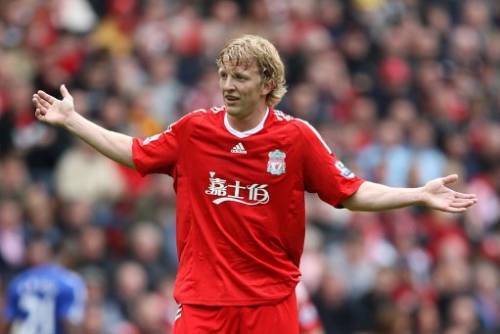 1: Liverpool are busy negotiating the sale of their erstwhile Dutch forward Dirk Kuyt to Inter Milan, and are close to agreeing a £7.5 million deal that would see the Nerazzurri‘s 23-year-old Nigerian striker Victor Obinna moving in the opposite direction. However, the switch may be scuppered by the fact that Obinna is currently thought to be due in London this morning to discuss a £3.5 million move to West Ham. Rumour No. 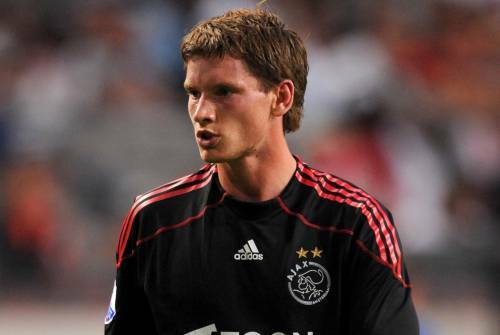 2: Arsenal are again being heavily linked with a double raid on Ajax for their highly-rated defensive pair, namely Belgian centre-back Jan Vertonghen and Dutch international ‘keeper Maarten Stekelenburg. The Best of the Rest: Barcelona have agreed personal terms with want-away Liverpool midfielder Javier Mascherano, but the Catalan club are only willing to stump up £12m for the combative Argentine. Liverpool are also in talks with Juventus over striker David Trezeguet, but the veteran French forward is keen to see out the final year of his contract at the Bianconeri before moving to the MLS. Stoke and Everton are both thought to be preparing bids for Tottenham’s beanpole striker Peter Crouch but Spurs boss Harry Redknapp is reluctant to sell. Paris Saint-Germain midfielder Stephane Sessegnon is close to completing a move to the Premier League with Spurs and West Ham thought to be leading the chase. Arsenal will wrap up a deal for Sevilla centre-back Sebastien Squillaci later today and will pay somewhere between £4-6.5 million for his services, depending on which paper you read. Fiorentina are lining up a move for Manchester City’s bench-warmer Roque Santa Cruz. Blackburn Rovers have told Nottingham Forest and Leeds they will have to pay a cool £1 million if they intend to sign striker Jason Roberts. West Ham are chasing a pair of free-agent forwards, with Felipe Caciedo and Jeremie Aliadiere both considering offers from the club. Wigan are close to signing Mexican striker Guillermo Franco on a free transfer. Franco is without a club after being released by West Ham at the end of last season. would be a great reward for quality players stekelenburg and vertonghen to be sold to a top side like arsenal, but i’m afraid ajax can kiss goodbye to another season if they were to going for it without them two. Why is it we have the transfer market deadline date after the season begins, it disrupts teams.